Metro Vancouver is returning to Stage 1 water restrictions effective immediately due to recent rainfall and cooler temperatures that have helped bring local reservoirs back to acceptable levels. Watering lawns only in the morning. Washing cars and boats only with a hose equipped with spring-loaded shut-off. 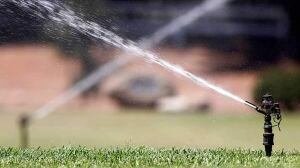 Golf courses cutting water use on fairways as much as possible. The region's water reservoirs are now at 60 per cent storage capacity, which Metro Vancouver says is typical for this time of year. "We thank everyone who made adjustments to comply with the necessary water use restrictions for the greater good, and I would especially like to recognize the businesses whose operations were temporarily affected," said Greg Moore, Chair of the Metro Vancouver Board of Directors, in a written statement. Stage 3 water restrictions were in place from July 20 to Sept. 9 because of the hot, dry weather throughout the summer. Metro Vancouver says it will be re-evaluating its water shortage response plan. Moore said one of the issues it will be examining is why residents didn't respond strongly to the shift to Stage 2 water restrictions — although he pointed out that they did reduce water restrictions once the region was bumped up to Stage 3. He said Metro Vancouver evaluates water usage annually and looks at long-term trends in usage and water levels. "We don't want to go and implement massive changes if we don't see this continuing, but at the same token we want to make sure that if it does continue, we're in a good position to handle it." Water management experts have said that more needs to be done to conserve water throughout B.C., in case the province experiences a long-term drought as in California. British Columbians are some of the biggest water users in the world. According to Environment Canada, Canadians use about 350 litres of water per person per day, whereas Italians use 250 litres, and the French use 150 litres.